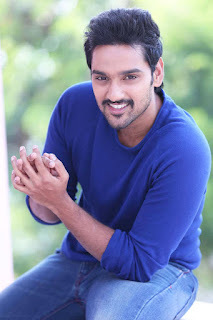 Young Hero Sumanth Ashwin who scored SuperHits with Anthakamundu Aa Tarwatha, Lovers, Kerintha will star in a big-budgeted film Directed by 'Dandupalyam' series Director Srinivasaraju. M Koteswararaju who Produced Action Entertainer Garudavega under his Jyostar Enterprises banner is producing this film. This film will be made with a unique concept in the horror thriller genre. The film will be made simultaneously in Telugu, Tamil, Kannada, Malayalam languages. This biggie will start in the second week of November. Director Srinivasraju says, " This film has a very wide span. That's why we planned this film in four languages with Sumanth Ashwin as a hero. Along with Sumanth Ashwin, there will be huge casting for other roles too. Re-Recording plays an important role in this horror thriller. So, Manisharma Garu composing the music with extra care for this film. This will become a trendsetter in Horror Thriller films. With the confidence I attained from the success of 'Dandupalyam' 1-2-3 films, I am planning this film on high technical values and big budget on a grand scale. I am very happy that tasteful Producer M Koteswararaju who delivered 'Garudavega' is producing this film. I am happy and thankful to him for giving me full freedom to make this film without any compromises. " Executive Producer Vijay Varma says, " Pre-Production work has already begun for this film. We will start the film in November second week. We are planning to shoot this film in continuous schedules and release in all languages simultaneously."